This recipe was inspired by my passion for “Thai Squash Soup”. I love the flavours of Thai spices and coconut milk in squash soup. So I was brainstorming about how I could integrate these flavours into a Crustless Chicken Pie. I decided to use pumpkin for this recipe instead of squash. It is a hearty meal and packs all the flavours of Thai Squash Soup. I enjoyed it with a coriander green salad. This recipe is gluten-free. If you have left-overs cut it into squares and store it in the fridge in an airtight container. It will last for about 5 days. Bring it to work for a mid-morning snack or lunch. 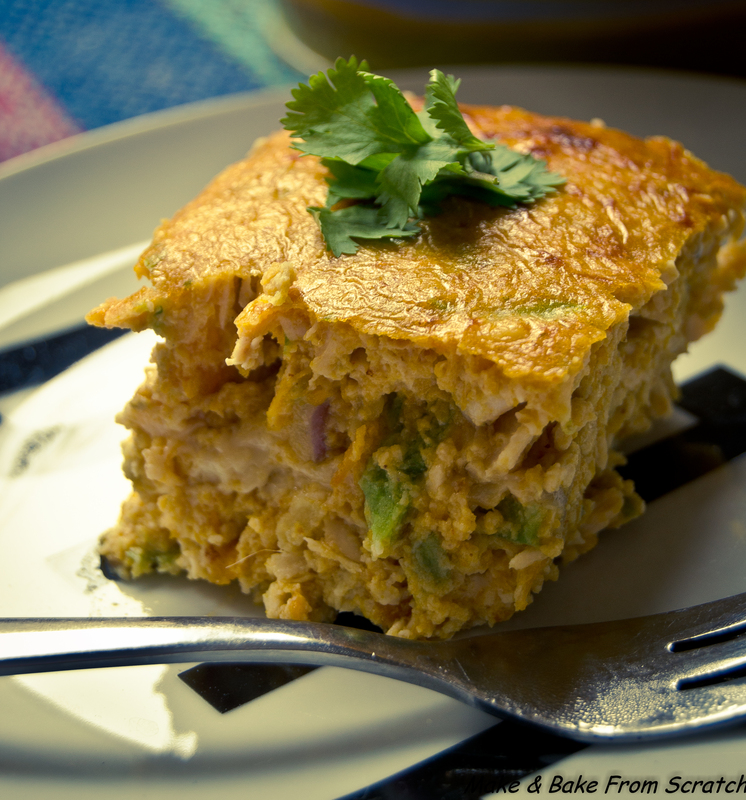 Thai Pumpkin Crustless Chicken Pie is a HIGH protein meal. The chicken and eggs give it a real protein boost. Pumpkin is rich in anti-oxidants such as alpha-carotene and beta-carotene; these help protect your immune system. Pumpkin is high in fiber, low in fat and oozes vitamins. Vitamins include vitamin A, C, E and minerals magnesium, iron and potassium. Onions are a very good source of vitamin C, B6, biotin, chromium, calcium and dietary fibre. In addition, they contain good amounts of folic acid and vitamin B1 and K. Coconut milk will add healthy fats to the dish. The coconut flour contains dietary fibre but also soaks up any excess liquid. You will need to make your pumpkin puree before you start. I bought pumpkin that was cubed and de-seeded. I roasted it until it was soft (40 minutes) at 190 degrees. In a mixing bowl add the pumpkin, 1 teaspoon of red Thai paste and 80ml coconut milk and mash the ingredients until it resembles mashed potatoes. 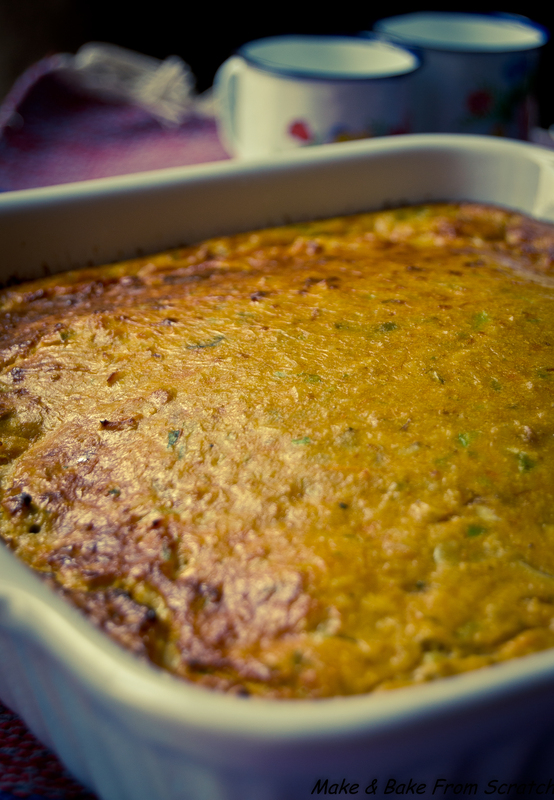 In a large mixing bowl add 12 eggs, the leftover coconut milk and the pumpkin puree. Mix the ingredients together. Wash and chop, sauté all the vegetables in a pan with coconut oil. When soft add to the egg and pumpkin mixture. Finely chop the chicken fillets. I use a “Philips Chopper”, a scissors will suffice. Cook the chicken in a pan with coconut oil. Once cooked add to the egg and pumpkin mixture. Stir it all together and pour into a greased pie dish. Cook in the oven for about 40 minutes at 190 degrees (some oven temperatures may vary). Green Salad with fresh chopped Coriander. Crumble feta cheese and roasted hazelnuts on top. Next Oh for Gods Hake, I really Moustache!